home Entertainment Could Fox and Disney Merger Be Bad News For Die Hard 6? 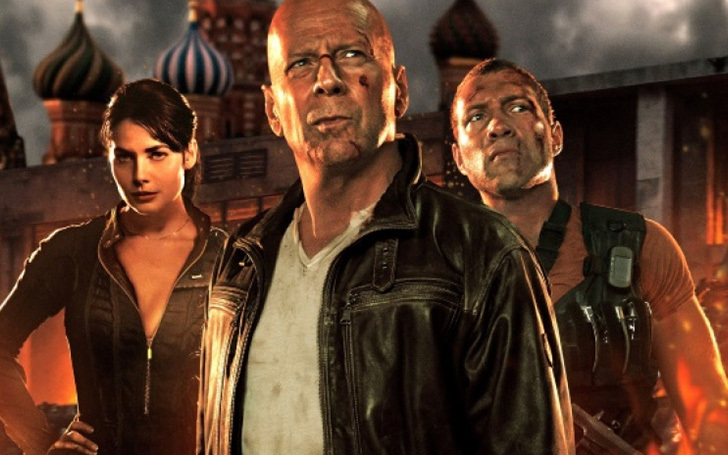 Fox and Disney's deal creates a hurdle for Die Hard 6. Now that the Fox/Disney merger has become a reality, some franchises of the former are simply turning into a matter of joke in the pack, especially when it is about their future and all. And one such promising project is Bruce Willis starrer the Die Hard series. After the box office success of 2013’s A Good Day to Die Hard, Fox had been working on a sixth entry. Despite the fifth film receiving harsh reviews from the critics, plenty of fans kept on craving to see McClane take on another batch of terrorists with dodgy accents. The hypothetically titled McClane was supposed to be a final adventure in the franchise, bringing Willis back, whilst also casting someone else as a younger version for the flashbacks. Die Hard 6 will see Bruce Willis retiring his titular character, John McClain. Back in September 2018, Bonaventura had said that the film won’t be entirely a prequel but instead will showcase two periods in McClane's life: the present day, and the beginning of his career. It has been six years since the last Die Hard movie released into the theaters, and four years since the sixth one was put under production, but now, there’s a worry that its fandom is lessening in volume. The acquisition is good news for other properties though. Along with the confirmation, there’ll be more Planet of the Apes, the troubled Alien universe is also getting a new contract. Ridley Scott’s Alien: Covenant (the recent one from the genre of extraterrestrial horror) failed to live up to the legacy of his 1978 classic or Prometheus, which eventually led his five-movie plan into cancellation while it was still under the FOX’s license. The Die Hard looks more propitious in comparison to Apes and Alien. The sci-fi thriller obviously has much to expand in its story in the future, but there is something more intriguing in seeing an aged cop coming out of retirement to save the world. As such, the properties like Mission: Impossible is still going strong 23 years after its first release. The House of Mouse gaining control of Fox is even greater news for the Marvel Cinematic Universe and finally means the likes of the X-Men and Fantastic Four can go into the world of the Avengers.